In modern-day Gander, the name Fraser is used every day by a lot of people. There is firstly a Fraser Road which goes from the main drag, Elizabeth Drive, up to the United Church. Better known is the Fraser Mall, a main shopping area and reference point. For many people in Gander, Fraser is probably just a street name among many others. Other people, probably the older folk, may know that Fraser was the first person to land an airplane at the newly constructed “Newfoundland Airport”. He is indeed a person whose history is worth knowing about. In 1921 in England, a 17 year old student from the Dominion of Newfoundland, Douglas Cowan Fraser, was given his first airplane ride, at the Cricklewood Airport. He now knew what would be the driving force in his life. In the late 20s, he got a job as a mechanic with Curtiss-Reid Aircraft Manufacturing Company in Montreal. He soon got his private pilot’s license, number 526 and in 1930 a Canadian Commercial Pilot's license, number 720. 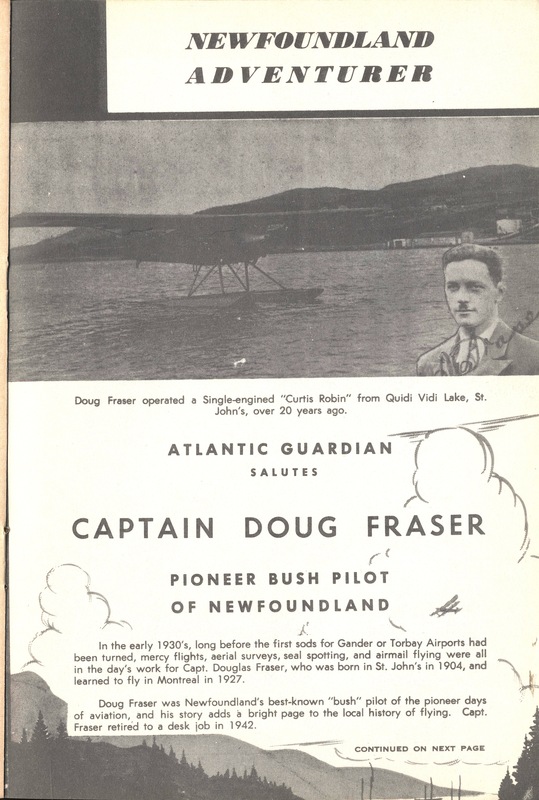 In 1931 Fraser purchased a Curtiss-Robin float-plane and started his own aviation company, Old Colony Airways, operating from Quidi Vidi Lake in St John’s. In 1932 he acquired another Curtiss-Robin and began his second company as Fraser Airways. Two yeas later he sold his company to the Newfoundland Commission of Government, which in turn leased it to Imperial Airways of London, England. 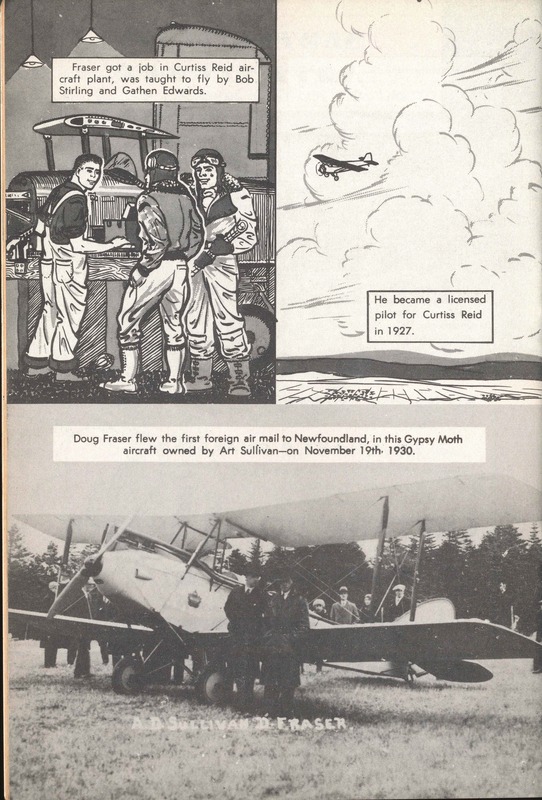 Fraser was employed by Imperial Airways as a pilot of a Fox Moth, an enclosed-cabin biplane. Fraser flew forest-fire patrols, timber surveys, inspections of road and bridge construction, geodetic, geological and meteorological surveys and mercy missions to all parts of Newfoundland. This included surveys which eventually led to the establishment of Gander as the western terminus for the transatlantic air service. Those flights also led to the selection of Botwood as a seaplane base. Imperial Airways then transferred Fraser to London, England where, after completing training for blind flying in a Tiger Moth, he was made a Co-pilot on the Company's London-Paris route. In January 1936 he was transferred to the London-Brussels route and later he became Co-pilot on the London-Liverpool-Ireland-Scotland route. He returned to Newfoundland with the rank of Captain. 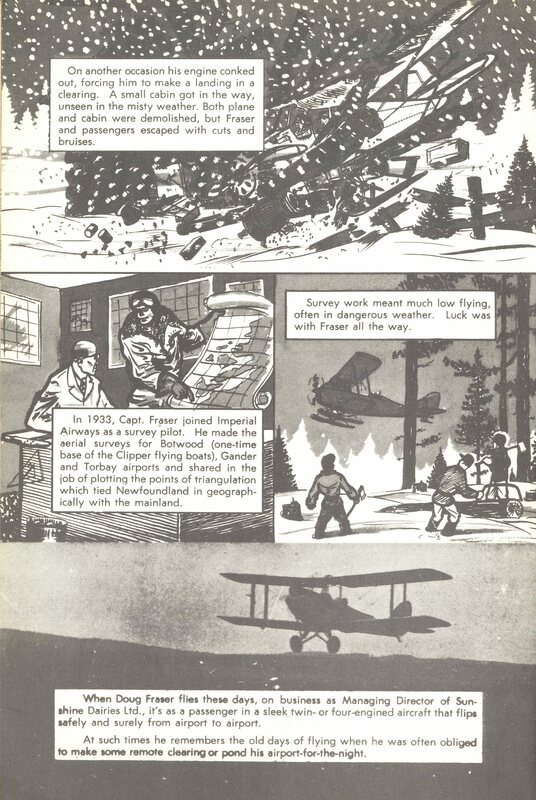 In February 1936, using a Fairchild 71 float aircraft, his main work was to collect meteorological data. At altitudes of up to 16,000 ft - with no oxygen equipment - he continued daily flights with met equipment attached to the aircraft wing. The information he gathered in those flights was invaluable in the establishment of a transatlantic service. 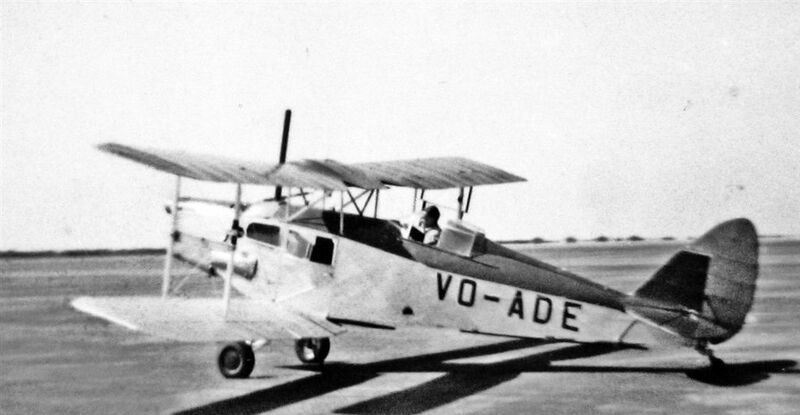 On January 11, 1938, Captain Douglas Fraser made the first landing at "Newfoundland Airport", in the single-engine biplane, Fox Moth VO-ADE. Using the same aircraft, he then made flights to determine the radio calibrations which led to the establishment of the wireless direction-finding stations at Botwood and Gander, essential to safe landings. On the 24 February 1941, VO-ADE made its last official flight from St. John's to Gander and proceeded to take part in the search for the Hudson aircraft that had crashed with the co-discoverer of insulin, Dr. Frederick Banting, on board. Thirty minutes after leaving Gander airport, Fraser’s plane landed at the crash site, the first aircraft at the scene. On March 08, 1941, VO-ADE left Gander for the last time with Captain Fraser at the controls, headed for St. John's. The air service that had served the Dominion of Newfoundland was disbanded. Captain Fraser had been ordered to take the train back to St John’s as his services were no longer required, and the aircraft was to be turned over to the RCAF. On the pretext of a test flight, before entrusting his aircraft to the care of Canada, he set his course for St John’s. On arrival Captain Fraser received three weeks extra pay to dismantle the plane and send it to the RCAF in Gander. VO-ADE took its last ride as the property of the Newfoundland Government by train. As a last comment on the situation, the plane was sent to the Canadians complete with a black bow painted on the nose of the plane. It was painted by Fraser 'in mourning for the Newfoundland Air Service and Imperial Airways.' The aircraft was handed over to the RCAF and received the marking A.135. It was damaged beyond repair at Gander Bay on February 22, 1944. 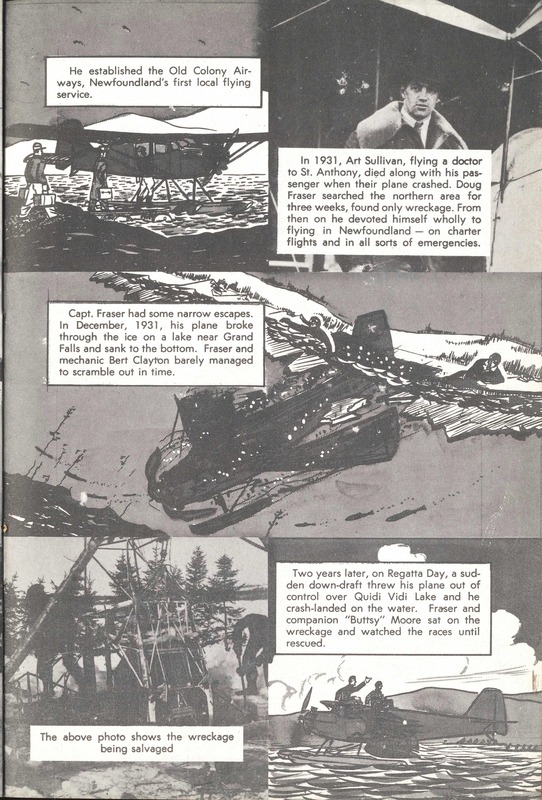 The December 1953 issue of the Atlantic Guardian paid a tribute to Captain Fraser by taking the unusual step of presenting his history in “comic book format”. One main reason for so doing was to make the story more readable and interesting to school children. But Douglas Fraser was able to get around not only in an airplane. He was no slouch either with a locomotive. Early Gander was pretty much a man-only operation, so roughly once a month a train was hired to go to Grand Falls, about 65 or so miles away, to bring wives and young ladies to a dance. One of these runs was in doubt because the train crew put themselves on strike over wages. Doug Fraser with a few buddies saved the day by taking a speeder to Botwood where they borrowed a locomotive. They went to Bishop’s Falls to borrow some railway cars and then on to Grand Falls to pick up the anxious party goers. They found the return to Gander a bit slow, so at Bishop’s Falls they borrowed a second locomotive to make up time. Under Captain Fraser’s able command, the Newfy Bullet went like it had wings! In honour of his remarkable service as an aviation pioneer in Newfoundland, Memorial University conferred upon Captain Fraser an Honorary Doctor of Laws Degree at its Spring Convocation, on May 29, 1982. On the 05 June 1987, Captain Douglas Cowan Fraser was inducted into the Canadian Aviation Hall Of Fame with the following Citation: "His exceptional flying abilities coupled with scientific interest in aviation have made him an honored member of Canada's flying fraternity and earned him a prominent place in Newfoundland History." He died three years later, in 1990.